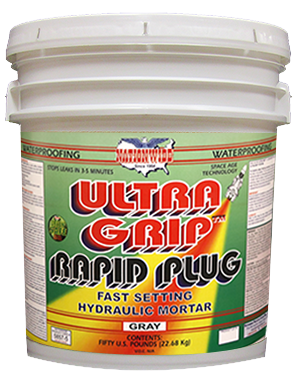 ULTRA GRIP™ RAPID PLUG is a fast setting waterproofing mortar. It sets in 3-5 minutes to stop active leaks, even under pressure. Seals open joints and very large cracks in masonry walls, floor and wall joints. Fast setting hydraulic mortar. Sets in 3-5 minutes. No top-coat required. 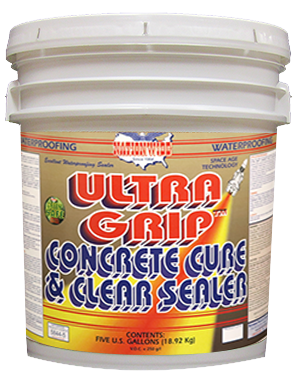 High gloss wet look sealer for clear weather proof protection on coated or uncoated concrete and masonry surfaces. 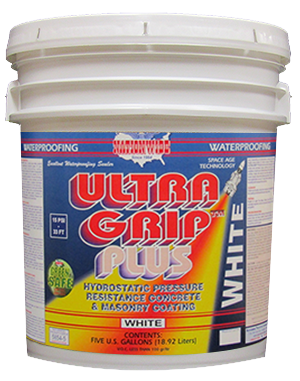 Restores beauty and cleanability to a non-glossy latex floor coating. Protects a surface without changing its natural appearance. 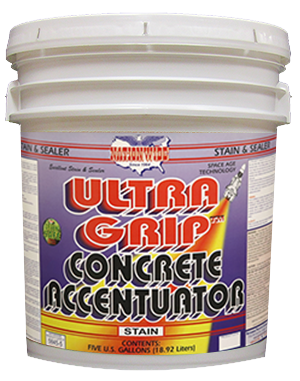 Helps cure new concrete. It soaks into the surface providing an invisible protective coating.